Joyce Glasser reviews The Book of Life (October 24, 2014), Cert U, 91 min. 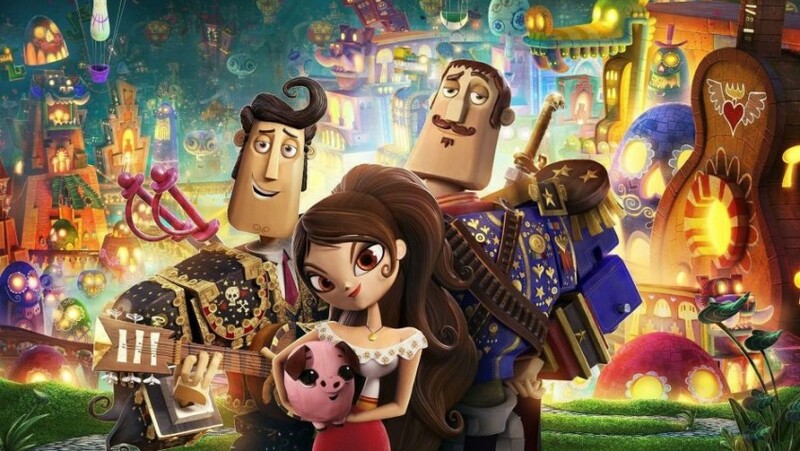 The Book of Life is a timely animated fantasy-adventure set against Mexico’s Day of the Dead (November 2nd) celebrations. 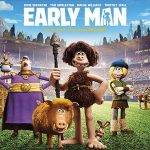 It weaves legend and folk-lore through a love story in which rival suitors, Manolo (Diego Luna) and Joaquin (Channing Tatum) compete for the hand of their childhood friend, Maria (Zoe Saldana). 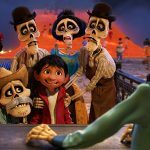 If ever form and content were merged in a film, this is it, as the abundance of colour, characters, action, stories and themes resemble a huge Mexican fiesta, celebrating those who have died and the living with lives well lived. 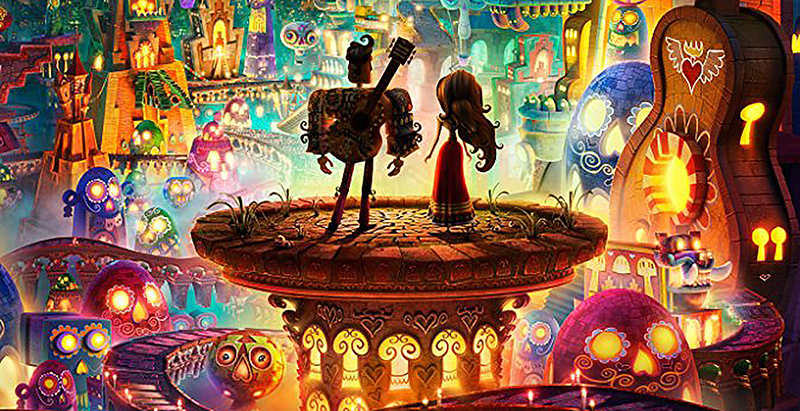 If the narrative gets lost in the extravaganza, The Book of Life is a tour de force in voice- over and animation, enhanced by its distinct cultural vision. A bus-load of goofy, cynical teens is deposited in front of a museum where a teacher (La Muerta in disguise) engages the teens with a timeless love story. In so doing, she gives the kids something to think about in a story that is designed to show the youngsters the thin line between life and death. Meanwhile, supernatural powers La Muerta (Kate del Castillo) and Xibalba (Ron Perlman) wager over which young rival will wed his childhood sweetheart Maria. Each power cheats a bit to help along their chosen rival but like life and death, the rivalry between the two masks their intimacy. Maria has always loved Manolo’s guitar playing and the fact that, although he has followed in the family tradition in becoming an acclaimed torero, he refuses to kill the bull. This refusal is a cause of consternation in the family and Manolo is berated by his father. Joaquin is a macho soldier who hopes to win Maria with his strength and courage. He has an advantage, too. Joaquin is seen to be the only person in Maria’s beloved town who can save it from enemy forces that attack the town in a protracted, frenzied scene that seems tacked on to the end of the film. Although The Book of Life is directed by Jorge Guttierrez, it feels like the brilliant special-effects and make-up artist and director Guillermo del Toro (Pan’s Labyrinth) was a ‘hands on’ producer. His touch is felt in the darker, almost Gothic nature of the animation; the bold, Mexican costumes, and the characters themselves. 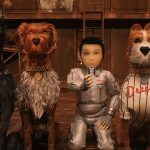 They have faces that look carved out of wood with iron bits connecting their visibly disjointed body parts, as if they all arose from Del Toro’s garage sale instead of from dust and ashes. The themes are not original, but they are well expressed and imported ones for teenagers to think about. You have to be your own man and not follow in your father’s footstep (Manolo); or cheat in order to maintain the façade of what others expect of you (Joaquin). The film is also commendable for not shirking from issues surrounding death. The way in which the suitors compete is entertaining and there is nothing predictable about the continual challenges put before the protagonists. But for all its cultural inventiveness and fantastic voice work, this is not a film most teenagers will choose to see. Its complex plot might also be above most children, while adults might become a bit bored with a story line that is, with all the disjointing sub-plots, a bit more superficial than engaging.